Many times throughout the school year, we will need your help!! Wake STEM Early College PTSA works through various committees in the areas of Fundraising, Programs, and Hospitality to make every child’s potential a reality by engaging and empowering families and communities to advocate for all children. Our work would not be possible without the time and talents of the individuals that make up these committees. Listed below are ways for you to volunteer and have a direct impact on students. Volunteers will work alongside Committee Chairs with opportunities to serve during the school day, evenings, weekends, at home and on school grounds. Please consider using your unique gifts, talents, and resources to support the Wake STEM community - Volunteer with the PTSA and see the difference you can make! I'd like to be a volunteer! President. --Shall preside at all meetings of the general membership and the board of directors at which he/she may be present, and shall designate another officer to preside when he/she will not be present (in the absence of such designation, the board may elect any board member to preside at any meeting); b. Shall coordinate the work of the officers, the board and the committees of this local PTA; c. Shall perform such other duties as may be provided for by these bylaws or assigned to him/her by this local PTA or by the board of directors; d. Shall sign all contracts of this local PTA that have been approved by the board; and e. Shall be an ex officio voting member of all committees except the nominating committee. Vice President (fundraising) Will oversee the Fundraising and Nominating Committees. Vice President (student & staff support) Will oversee Hospitality, Spirit Wear, and Advocacy Committees. Secretary -- The secretary shall record the minutes of all meetings of the general membership and the board of directors and shall perform such other delegated duties as may be assigned by the board of directors, and shall maintain a file of important documents related to that local PTA, including but not limited to:articles of incorporation of this local PTA; b. the current uniform local bylaws approved by NCPTA and adopted by this local PTA, c. the current standing rules of this local PTA, if standing rules have been adopted by the board; d. minutes of past meetings of the general membership and board of directors; e. a copy of the official membership roster provided for in Section 5.3 of these bylaws; f. a current roster of board members; g. a current roster of all committee members and chairs; h. legal documents, including but not limited to insurance policies and contracts; i. current and past tax returns; and 8 j. current and past audit reports; At the end of his/her term, the secretary shall transfer this file of important documents to his/her successor as secretary. The Secretary also oversees Membership and Communications. Treasurer -- The Treasurer shall: a. Collect, deposit and maintain all funds of this local PTA in approved depositories (including, but not limited to, all monies collected as local dues, raised in PTA activities, received as contributions, or otherwise acquired); b. Disburse funds in accordance with the annual budget adopted by this local PTA, and maintain records identifying the purpose and payee of all disbursements; c. Maintain a current record of income, expenditures, assets and liabilities of this local PTA, and make all financial records available for inspection and review by the audit committee; d. Present a financial report of income and expenses at each meeting of the general membership and the board of directors, which report shall compare current income and expenditures to the approved budget; e. Remit dues to NCPTA in accordance with Article 5 of these bylaws and the current NCPTA good standing requirements; f. Prepare a year-end financial report by June 30 showing the total income and expenditures for the fiscal year, comparing those figures with the budget approved at the beginning of the fiscal year, and the assets and liabilities of the local PTA, and submit that report to the incoming president, treasurer and audit committee; g. File all required tax forms and reports in a timely manner, including but not limited to tax returns for the previous fiscal year, and submit copies of all such filings to the secretary of this local PTA; h. At the end of his/her term, transfer all financial records to the audit committee by July 1; and i. Provide assistance to the audit committee upon request. Will oversee Audit Committee. Fundraising Chair-- Will work with Treasurer and Executive Board to create and implement a plan to provide funding for the PTSA goals for the year. Spirit Wear/ School Store Chair - Spirit wear is an important part of the PTA. It provides students the opportunity to purchase items to show their school pride and assists in raising funds for our programs. Spirit wear is sold at numerous school functions, at the School Store held once a month and is available via orders. Design, order coordination, inventory management, sales and distribution are all components where this program can use volunteers. Volunteers will collaborate with Student Council board members on choice of spirit wear including pricing and time frames of selling. Communications Chair - Will manage the school newsletter, website, calendar and communications. This includes emails, website maintenance, social media updates, and meeting records. It takes several people to perform these jobs to keep the info flowing to our RMS families. Audit Committee Chair - Will work with the treasurer to make sure the financial books are audited once a month as set in place by the bylaws. The audit committee shall be composed of no fewer than three members. Individuals with check signing authority and their family members may not serve on the audit committee, nor may the outgoing or incoming treasurer. Membership Chair - Will manage membership. Will add any paper memberships to Memberhub and will assist with encouraging membership. Hospitality Chair - Events such as Early Release lunches, bus driver treats, Teacher Appreciation week, End of Year Picnic all fall under the Hospitality Committee. If you like food prep, service and distribution, this may be the role for you. The program needs a coordinator and several helpers that can help or donate items as they are available without having to sit on a standing committee. You can use a list from previous years or create your own ideas. Advocacy Chair - The advocacy committee shall develop and organize meetings, activities, and programs to further the goals and purposes of PTA. This committee is tasked with improving communications and relationships between school staff and families; educating families and caregivers on important issues related to the health and educational success of their children; and helping to make each child’s potential a reality. Student Appreciation Chair- Will work with each grade level teacher group to provide students a snack or lunch after grade-level projects are presented. Nominating Committee - The nominating committee shall be comprised of an odd number and no fewer than three members; at least two of the committee members shall be board members and at least one committee member shall be a member of the local PTA who does not serve on the board. b. Neither the president nor the principal shall be a member of the nominating committee. c. Throughout the year, the nominating committee is tasked with identifying talented, motivated, and responsible individuals to serve as officers of this local PTA. d. Prior to the last general membership meeting each fiscal year, the nominating committee shall prepare a slate of nominees for officers of this local PTA for the coming year, and the president shall include that slate in the notice for the last general membership meeting. Assist any Committee Chair - All of our existing Committee Chairs welcome the opportunity to have your assistance! Please see the Contact Us page for contact information. Spirit Wear - Provides students the opportunity to purchase items to show off their school pride. Work with Student Council to assist students in creating, marketing & selling Spirit Wear. Spirit Wear will be sold at school events and at the monthly school store. Staff Appreciation Week – A week dedicated to our dedicated teachers & Staff. We provide lunch, breakfast and little treats in between. Help is needed with setting up / breaking down tables, decorating, preparing and serving food. We will need posters made to hang around the school in appreciation of our teachers. We also need large thank you cards made for each teacher and staff member so all of our students can sign them. We will need goodie bags made up for each teacher. Early Release Lunches – Students go home early, but our teachers stay for training. The PTSA feeds the Wake STEM Staff so that they can quickly transition from dismissal at 11:45 to their afternoon meetings. Help is needed with setting up / breaking down tables, decorating, preparing and serving food. Welcome Back to School Breakfast – We may be on break, but our teachers/staff are working hard preparing for the new school year. We provide breakfast so there’s one less thing for them to worry with. Help is needed with setting up/breaking down tables, decorating, preparing and serving food. End of Year Picnic – This is held at the end of the year and requires several volunteers to assist with setting up of tables and tents, food prep, food service, clean up, and game set up and clean up. If you enjoy serving a group of students and teachers who are finally able to relax and enjoy a day after an exciting but exhausting year, this is for you! Let's Talk!Thank You for your interest in volunteering with the Wake STEM Early College PTSA. 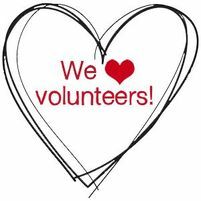 If you have questions about volunteering, need help figuring out how to best match your talents and interest or you're ready to roll up your sleeves - we would love to talk to you! All volunteers must register and have an approved criminal background check prior to volunteering in the Wake County Public Schools System (WCPSS). It’s easy! Registration usually takes 5–10 minutes, and reactivation (which needs to be done every school year) usually takes 5 minutes or less. For security reasons, you may only register on our school intranet. This is available on computers at WCPSS campuses. At Wake STEM, check in at the office. The WCPSS volunteer system will be open daily for registration during regular school hours. What information do I need when registering? Please bring your driver’s license (you may need the number) and know your Social Security number. Do I have to register at each school where I have children? No, you only need to register once. Please be sure to list all your children and the schools they attend so that each school can be notified of your clearance status. How can I find out if I have been approved? Please call or visit our school’s main office. The staff receives an updated list of approved volunteers regularly. How long will it take until I find out if I am cleared? The amount of time it takes to process volunteer requests and background checks varies depending on the volume of requests; most requests are processed within 2–3 weeks. The highest volume occurs at the beginning of the school year. Parents and other volunteers are encouraged to register as early in the school year as possible. Can I volunteer at Wake STEM while I am waiting for notification? No. Unfortunately, all volunteers must register and receive clearance notification before volunteering at their children’s schools. This is a WCPSS policy. I am a WCPSS employee. Do I need to register if I want to volunteer in my child’s school? No. WCPSS employees do not have to register as volunteers to perform volunteer roles outside of their job assignment, such as volunteering for their own child’s school and/or class.